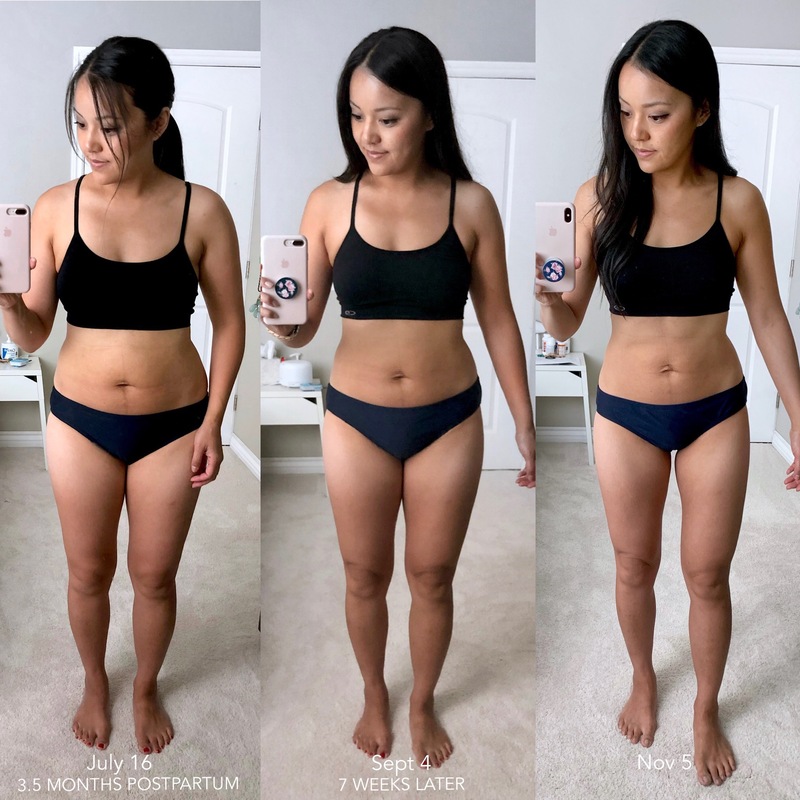 In July 2018, a few months after having our second baby, I joined a fitness program called the FASTer Way to Fat Loss. It’s a 6 week program (plus 1 intro/Prep Week), and I did two rounds of it. I wanted to both lose the baby fat from having two kids and get stronger. My body felt really soft after having two kids, and I constantly was trying to flex muscles just to make sure I still had any 😂. After two 6-week rounds, I lost a total of 16-17 inches all my body! The crazy part was that I did not kill myself working out (honestly, I scarcely worked out) and that I never felt like I was deprived of food. I had such great results with FASTer Way and I’ve been talking about it ever since! I’ve written several blog posts about it, but I’ve consolidated all the info to this ONE page so that you don’t have to sift through four blog posts to find your questions answered! BTW, this post is not sponsored in any way by FASTer Way to Fat Loss, nor did I get to try the program for free. I registered for both rounds myself. However, I can earn a referral commission if you sign up through one of the links provided here (as can you if you do the program and love it!) If this post inspires you or helps answer some of your questions in any way, I would be so appreciative if you signed up through one of my links! Thank you! P.S. As a thank-you for signing up through me, I email all of my referrals a log of what I ate during my first round to help you out. Scroll all the way down for more info. Also, I am not any official type of FASTer Way representative. I’m just someone who went through the program just like everyone else, and I’m answering based on my experience of it. If you are ever unsure of anything, email [email protected] for accurate info. It’s a strategic program that combines intermittent fasting, carb cycling, macro counting, and strategically paired workouts so that you are working smarter, not harder. If those terms make you dizzy, I’ll answer them in the Q&A below! I was both very hopeful and somewhat skeptical going into it. I was hopeful because I’d seen many other people’s transformations firsthand. In my first blog post about FASTer Way, I shared my backstory about how I had wanted to do this program–and even signed up–a year prior to actually doing it. But I found out I was pregnant with Ella and had to cancel. I waited through the duration of pregnancy and a few months postpartum until I could finally do the program! That whole year, I watched other people’s transformations and couldn’t wait to not be pregnant anymore to finally do it. I also saw the transformation firsthand: One of my best friends–I told her about it back in December 2017 when I was still pregnant and waiting to do it. For 5 years I watched her try to lose weight after having 3 kids. We were on a walk together and stopped for a bit to let our kids explore. My friend started furiously working out in the downtime while I stood there 5 months pregnant. It dawned on me that for the last 5 years she had been working out for an hour a day with minimal results. I told her about FWTFL , and she signed up immediately. After her first 6-week round she CRUSHED it! She lost 20 inches (!!!) by working out less than she had been–just smarter. And more importantly, some ongoing hormonal and thyroid problems she’d been battling got fixed! I was SO happy for her! It also made me even more hopeful that if she could do it–someone who I’d witnessed work out for an hour a day for 5 years with little results–it could likely work for me. However, I was skeptical because I had already been doing intermittent fasting and was relatively conscious of what I ate. I mean, I definitely ate ice cream often and California burritos once in a while, but I am reasonably in tune with nutrition, how much protein, carbs, calories, etc., are in foods, and was conscious of balancing them. I wondered, “I’m already doing intermittent fasting and eating low-carb most days. I’m already doing elements of what FWTFL does–how much more effective could this program be?” I jumped in hopeful but also skeptical. But it turns out that intermittent fasting alone wasn’t enough. A low-carb lifestyle wasn’t enough. It’s the strategic way that FASTer Way combines intermittent fasting, low carb days, and macro nutrition that is so effective. Plus it strategically pairs different nutrition days with types of workouts. All of those cylinders firing at once is so, so, so important and led to great results! After my 1st round when I lost my first 7-8 inches around my body. I used to not wear this top because it’s VERY thin and it showed every lump of my extra belly weight. What I love about this program is that it’s strategic and effective, like I mentioned. Also, you don’t have to workout for a billion hours a day. 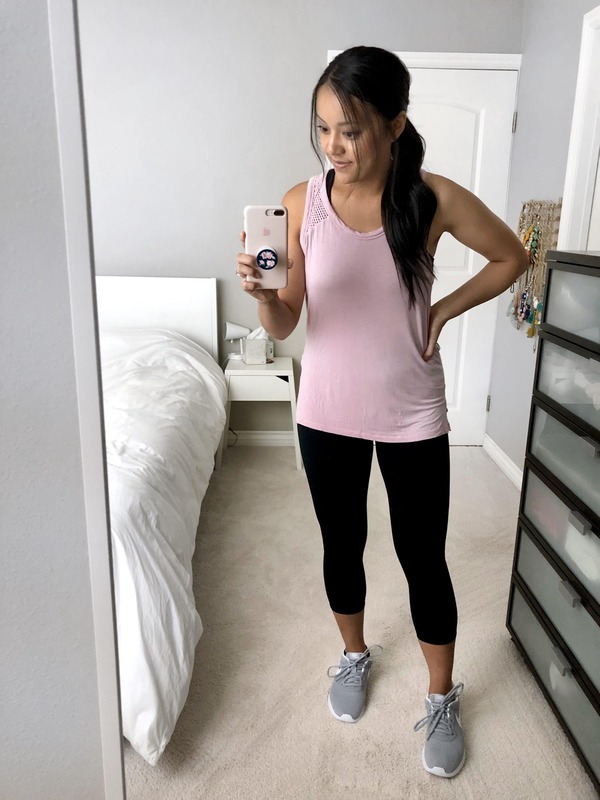 There are 3 types of workouts you can do (At-Home, Beginner, and Gym–I’ll answer more about workouts in Q&A below!) Benson did the At-Home workouts and I did the Beginner workouts. At-Home workouts took around 40min and Beginner workouts averaged 20min. We worked out 5 days per week, resting for two days. Some people don’t do the workouts at all and only focus on nutrition their first round and still see crazy results. During my 2nd round I barely worked out and still saw great results. I got stronger–without killing myself in workouts. I said this in first blog post about FASTer Way. There was a moment about 3 weeks into my 1st round when Addie (now 4 years old) was struggling and asked to be held/carried. Prior to FASTer Way to Fat Loss I hadn’t been able to carry her for more than 30 seconds since she’s so big now, but this time I carried her for over a quarter of a mile without struggling AT ALL. I turned to Benson and was like, “WHOA, look at me! I’m not even tired yet!” A QUARTER OF A MILE, you guys! Prioritize nutrition above the workouts. I think the founder of FWTFL has said something like it’s 80% about the nutrition and 20% workouts. There are tons of people who don’t do the workouts at all and focus on eating and see better results than mine. The first 3-ish weeks are CONFUSING, but keep going. Tracking macros is the most confusing part, IMO. It can honestly be overwhelming. Don’t let that make you quit. Remember this thing is only 6 weeks long, so push through it and figure out the macros. Doing that hard work will set you up for life! Keep at it for the whole 6 weeks, and don’t get discouraged. Other people will start saying they’re experiencing crazy transformations in like Week 2 or something. But I saw almost NO transformation until the beginning of Week 6! The FWTFL founder also says it can take up to 6 weeks to transform your body from a sugar-burning machine to a fat-burning machine, which is why the program is 6 weeks. I needed those 6 weeks! If I had quit at Week 4 I wouldn’t have seen these results. After my 2nd round–I’d lost another 5-6 inches all around for a total of 16-17 inches after two rounds! Also, remember I am not any official type of FASTer Way representative. I’m just someone who went through the program just like everyone else, and I’m answering based on my experience of it. If you are ever unsure of anything, email [email protected] for accurate info! Intermittent Fasting? Carb Cycling? Macros? What the whaaaaat? I will be honest–it can all be very confusing and intimidating AT FIRST. It took me a couple weeks to figure out the right foods. Don’t be intimidated by all that stuff or let it keep you from doing this! After just 1-2 weeks, and through the help of the FWTFL coaches in the Facebook group, it’ll become second nature to you. Just be okay with being confused the first 1-2 weeks and asking lots of “dumb” questions to the FWTFL coaches. Everyone new is just as confused as you are! What is intermittent fasting and why is it important? And how do you not die without eating breakfast? Intermittent fasting is when you limit yourself to a shorter window of eating through out the day, thus being in a “fasted” state for more of the day. Specifically, having only an 8 hour period in which you eat and a 16 hour period where you don’t eat. For example, eating only between 12pm-8pm and not eating, or “fasting,” from 8pm-12pm. Basically you skip breakfast and don’t eat until 12pm. Google “Intermittent Fasting” and you’ll find many articles describing the benefits of it. Like I said, Benson and I had been doing intermittent fasting for about a year and a half, long before FWTFL. When Benson started I thought, “I could NEVER do that. I would get so hangry without breakfast!” But the logic to it made so much sense to me that I wanted to try for just 2 weeks. The logic is that in a fasted state, your body actually has the chance to burn fat stores instead of burning the food it has just consumed. Also, over the years I’d noticed that if I skipped breakfast, my stomach would growl once or twice but then it would stop and I’d be fine for a while. But if I ate breakfast, I’d get hungry waaaay sooner–and hangrier than if I’d skipped breakfast. I noticed that over and over. The logic and my experience not eating breakfast somedays were enough for me to test it out. And it turns out it’s not so bad and your body gets used to it! What is carb cycling and macro counting? You can read about carb cycling HERE. Macro nutrition has been talked about a lot in the last few years and there’s tons of info about it in Google. FWTFL will explain it when you do the program. But in a nutshell, it’s making sure you’re not just getting a certain amount of calories, but it makes sure you’re getting the right kinds of calories and the right balance of them. This part is super duper important to not just helping you lose fat but making sure your body is functioning optimally, helps balance your hormones and internal stuff. Can you do it while breastfeeding? How does it affect supply? Yes, it’s breastfeeding friendly! The founder of the program did it for a whole year while breastfeeding her 3rd child. I’ve been breastfeeding Ella for the last 9 months. The program will tell you how to adjust macros if you’re breastfeeding. I did not experience a dip in supply from doing this program. If anything, I sometimes pumped a little more than before I was on this–probably thanks to being properly fueled. The major factor in supply dip for me with both kids, whether or not on FASTer Way, has always always always been if I’m not drinking enough water. What do you eat on this program? Am I going to have to make totally different food for the rest of my family? That's too much work! I ALWAYS answer with this: it depends on what kind of meals your family currently eats. On this program you are just playing with different amounts of protein, carbs, and healthy fats. If you are used to serving protein with a side of veggies and a side of carbs (like chicken + mixed veggies + mashed potatoes) then it will NOT be a huge adjustment. All you would do is eat more or less chicken or more or less carbs depending on which nutrition day it is. However, if you are used to serving your family meals where everything is mixed together, like a casserole, then it may be harder to adjust. What kind of workouts are there? Is there a way to see the workouts before you commit? How difficult are they? There are 3 levels: Beginner, At-Home, Gym. You get access to all 3 when you sign up and can switch between them. There are two HIIT/cardio type days, and the rest is strength or resting days. The workouts are paired with nutrition days to see optimal results. I did ZERO workouts Week 1, Beginner workouts for half the days of Week 2, then Beginner each day for the rest. Beginner workouts felt very doable! There’s a HUGE leap in difficulty from Beginner to At-Home. I only did workouts for maybe about half of the weeks during my 2nd round. Like I said, NUTRITION! Focus on nutrition. I saw great results with working out very little. Benson does At-Home workouts which take about 30-40 minutes. I do Beginner workouts which take about 20 min on average. What were you doing exercise-wise prior to this program? Not much. I was getting 10,000 steps per day, but no strength training.I tried BBG a few times and wanted to die. 😂Benson was running 3 miles 3x/wk and did strength training here and there. Do I need to purchase any equipment? Could I do them in my house? Do I need a gym membership? No gym membership required, and close to no equipment needed. Benson and I have only needed dumbbells and occasionally a band, but we skip the band workouts since we don’t have one. I’ve been reading a lot about running/sprint days. I’m SO NOT a runner - is that just an option on some of the HIIT days, or will that be something I need to wrap my head around? About subbing for another HIIT day, you’d have to ask a coach. Work up to them. Do half of them. Or do them at 80%. And remember that many people do ZERO workouts and still see results. But if you want to optimize your fat loss, I would try to wrap your head around sprints because they are seriously effective. Can you do additional workouts? I am training for a race so I run a few times a week, also have an Orange Theory membership so I do that once a week. Just trying to figure out if everything else needs to be put on hold to follow/trust this program. It’s possible, and coaches can help you adjust your macros for something like a race. BUT with Orange Theory and barre and all that, if you’re looking to do FWTFL then that means what you’re currently doing is not giving you the results you want. They’d encourage you to follow the workout plan for the 6 weeks. You might feel like you’re working out less, and many people have said that, but actually saw results they wanted. FWTFL is set up to make you mindful of adrenal fatigue and overextending your thyroid, etc. I’d encourage you try the FASTer Way workouts for the 6 weeks and see what it’ll do. Or at least the first 3 weeks and see how your body is affected, then slowly add Orange Theory classes back the following week with the advice of coaches. Curious what made you stick to this? I'm very interested, but I feel like I'm going to be overwhelmed and quit. 1) It’s really strategic and therefore effective. And only 6 weeks long. I had doubts (which I talked about in my first post) but the strategies made sense and I saw hundreds of success stories that I tried to trust the process. Plus I figured “just stick to it for 6 weeks and then see.” 6 weeks felt attainable. 2) It’s manageable. The most overwhelming part was the first 1-2 weeks figuring out what to eat to fit macros. Push through that and you’ll gain knowledge that will serve you for life. 3)It offers flexibility and variety. They have a strategic cycle of daily nutrition, so some days I get to eat fatty foods like bacon and some days I eat all the fruit I want. Some days there’s room for a donut, wine, or pizza. 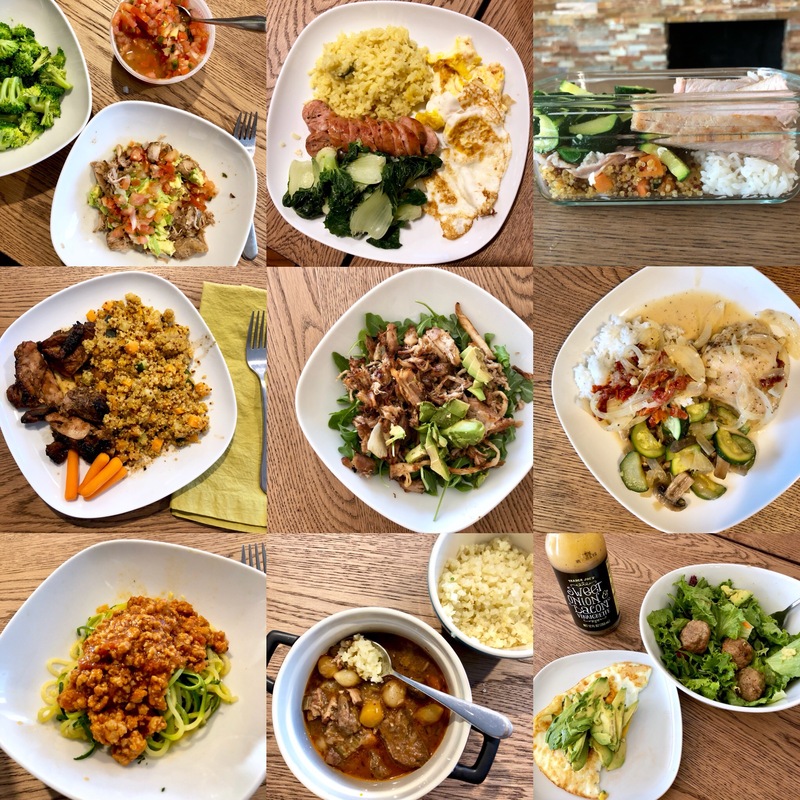 Like I mentioned in my first post, I ate way ore “discretionary” foods than I should have, like Filipino food and street tacos, and I still saw results. But you have to spend the first 1-2 weeks getting a handle on the “right” way to do the nutrition so that you can know how much or how little you can fudge it if you choose to later. You HAVE TO make a change in nutrition in order to see change in your body. It doesn’t matter if you do FASTer Way or any other program. EVERYONE says it—nutrition is the #1 most important thing. I like the flexibility and variety FASTer Way affords while still being very effective. Do you track everything you eat? Like every bit for always? Or do you think once you learn what works for you, you can wean yourself off tracking? Is this something that is sustainable for life? Is it even intended to be? I just don’t want to get all excited about something, see results, and then burn out because it was unsustainable. I tracked most of what I ate while on the program because I paid money to see results and I wanted to do it right. But, I estimated portions. I also rounded or estimated grams of food sometimes if once I had a good handle on it, etc. Also, if I ate like a tiny bit of vegetables, I felt they were so minimal that I didn’t even add them to my macros sometimes. The program is flexible enough that you just need to focus on the big things that will move the needle, not every tiny morsel. Now that it’s been 6 months of this lifestyle (started July 16, 2018), there are entire weeks I haven’t tracked macros, but when I start to feel myself veer too far off, I start tracking again to tighten things up. Overall I try to track the “big rocks”–ie the most significant foods that make the biggest difference in macros. Do they tell you exactly what to eat? No. Everyone’s macros are different. Plus everyone’s food tastes are different. And most importantly, you need to learn nutrition if you want to keep off the fat for life. They provide a few recipes, and there is a cookbook you can purchase HERE. However, like I said, I still wished I could have seen what someone ate each week to at least get an idea of how it all pieced together. I’ll share a food journal to give you ideas if you signed up through me. Will this program teach how to count macros? I've been eating low carb and working out on my own, but have not been counting carbs /macros. They will teach you how to get set up with your macro count and teach you how to track them on MyFitnessPal. If you input all your food in MyFitnessPal, it’ll track your macros for you. I’m kind of a picky eater. Will this be a problem? You get to choose what you eat. As long as you have sources of protein, carbs, and healthy fats that you like to eat, you will be okay. Preferably “from the ground” or “has a mother” types of whole foods, not processed foods. Can I do this as a vegetarian? Yes, it’s so flexible. But, see above question. Do you feel that it’s a sustainable lifestyle or is it more of a jumpstart to get back into healthy habits? Now that I’m 6 months out, I can say this is ABSOLUTELY sustainable. I only paid for two rounds, and now it has become a lifestyle. I’m telling you, this program is so flexible. It doesn’t feel like it the first few weeks, but the longer you’re on it the more you see how flexible it is, how much wiggle room there is while still maintaining your health, and you just feel so good on it. Will I have to keep paying for more rounds for the rest of my life? No, definitely not. You could just pay for one round, get all the info, get the hang of it, and then do it as a lifestyle. I personally paid for two rounds because I knew I needed to have paid for something in order to actually do it. After one round, it wasn’t quite solidified in me to continue it on my own. I needed “skin in the game” in that sense, so I paid again. Now it’s a lifestyle for both Benson and me, and we don’t continue to pay for rounds. Will you be doing anymore rounds? Nope! Totally just a lifestyle now. I have enough motivation to continue eating this way to sustain myself without paying for another round. Are you trying to trim down more? Nope. But my goal is to get stronger. I want my body to be STRONG as I get older! Benson and I eat like this as a lifestyle, but we have adjusted our macros. I am not trying to lose anything else, but it may be a byproduct of continuing to eat healthily. I might need to increase my food intake, or possibly as I get stronger I’ll bulk up a bit. Not sure what I’ll need to do at the moment since it’s a work in progress! I want to thank you for how sweet and thoughtful you’ve been to sign up through my referral link! Also, since the #1 thing I wished for when I signed up was for someone to show me what they ate everyday, I put together a food journal and share it with anyone who has/will sign up with me. It’s just from my 1st round. It won’t have all 6 weeks. It’s not a pretty doc. You might not like what I eat. It’s not supposed to be prescriptive for you–all our nutrition/macros/portions will be different!!! I’m just showing you what I ate to give you ideas. I also figured out some “food formulas” that are similar to my outfit formulas which has made it a lot easier for me to figure out the puzzle pieces. I hope it helps somehow! I’m not going to post it on the blog because it will not make sense unless you are doing the program and understand the FASTer Way nutritional framework. Also it gives away the entire program for free, which I don’t think is really fair to FASTer Way. If you already signed up or will sign up through me, I’m given your email address as one of my referrals. I simply export all your email addresses and send the doc. If you want it, make sure you sign up through my link to be on my list. If you don’t get an email from me by Day 2 of Prep Week, that means you didn’t show up on my list. You can email [email protected] to let them know, and they will put you on my list. I’ll send the doc on the start date of every round to whoever’s on my referral list. * I know that SOUNDS “too late” for some, but DON’T WORRY! The start date is just the beginning of Prep Week–a week where you aren’t expected to do the program yet. Your sole job that week is to get acquainted with the materials, come up with a plan, and prepare. You’ll have my food log right as prep week begins, and it’s better to have it after you’ve read all the FWTFL material first anyway! Then you’ll know what the heck I’m talking about in the doc. Thanks again if you sign up through me! There are always new rounds opening, so you will always have a chance to sign up! Reserve a spot HERE! Click here to join the next round of FWTFL!